Hey all. I had a thread going last summer about my power steering gearbox replacement problems. As it turned out, the part they shipped me was incorrect, hence why I couldn't get the wheels aligned. Long story short, I exchanged the incorrect gearbox for another one, and everything sorted itself out alignment wise. The new problem is the fittings that connect the high pressure and return lines to the power steering gear. There's a small amount of fluid seeping out around the fittings which seems to be letting air in to the system. The fittings are tightened down. Thoughts? Use Lucas power steering leak preventer - works like a charm! Right, sorry! It's a '78 Concord with a 258 I6. A couple of thoughts as there should be no leaks. Either the fittings are not tight enough or the flared metal end of the hoses where they enter the box may be damaged or out of round. These flared ends seal against tapered seats at the bottom of the steering box connecting ports.The internal seats could be damaged as well though this is less likely. 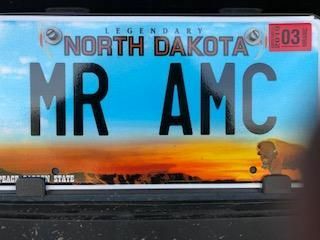 Long time AMC fan. Ambassador 343, AMX 390, Hornet 360, Spirit 304 and Javelin 390. All but javelin bought new.